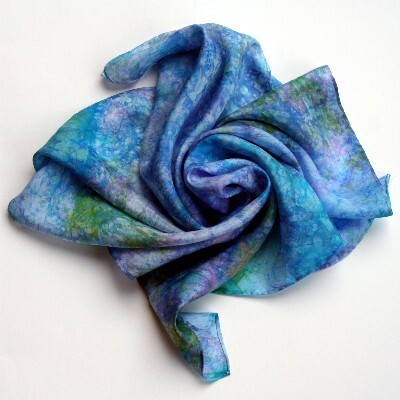 I have pictures of silk and rayon to show you today! The silk is the results of the dyeing process I showed y’all in my last post. The rayon is my painstakingly slow finishing work on the Giotto tank. 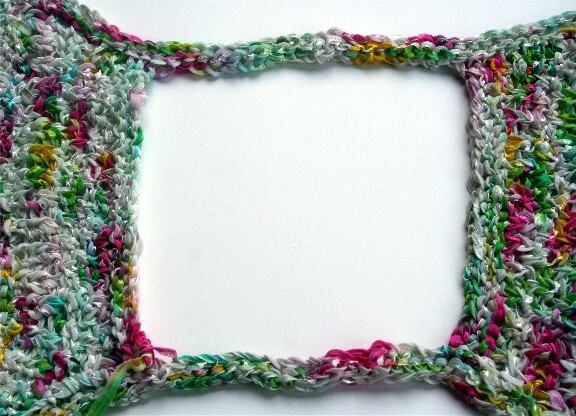 I’ve been knitting it forever, so I suppose it makes sense I would stretch out finishing it over multiple days. 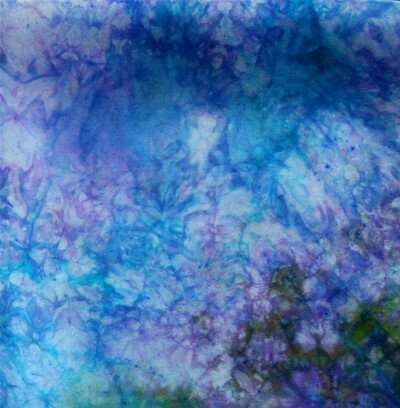 This is the silk I solar dyed over the weekend. It turned out beautifully and was an energy efficient process, too! This is a close up, to give you a little bit better idea of how the crackle looks. I like the scattered dots with the coronas. This silk has a very peaceful feeling to it — I’m very tempted to do some yardage and turn it into a duvet cover. I’ve knit the straps for the Ophelia. I stuck with the three rows called for in the pattern, but am thinking they might need to be a bit wider, which is why I’m dragging my feet on sewing up the side seams. 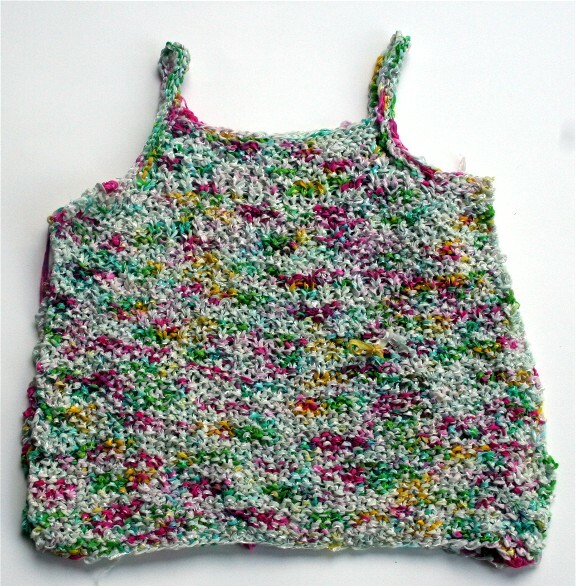 I’m also not totally sure I like this colorway knit up like this, and have been toying with the idea of overdyeing the entire tank once it is finished. It may be that I started it in winter, thinking it would be great for spring. Now, I’m dreaming of a more fallish colorway. I’m hoping to finish it up in the next day or two, and be ready to model it in my newly less post-fourth baby enlarged svelte body over the weekend. 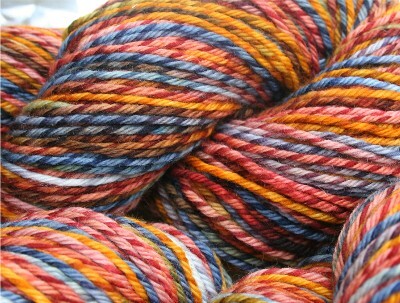 I’ve got new yarn for sale at Elliebelly today. Please take a look! Here’s a little sneak peak of one of the colorways. The silk reminds me of Monet’s WaterLillies. It’s lovely. Good for you for getting svelte for the Ophelia top.